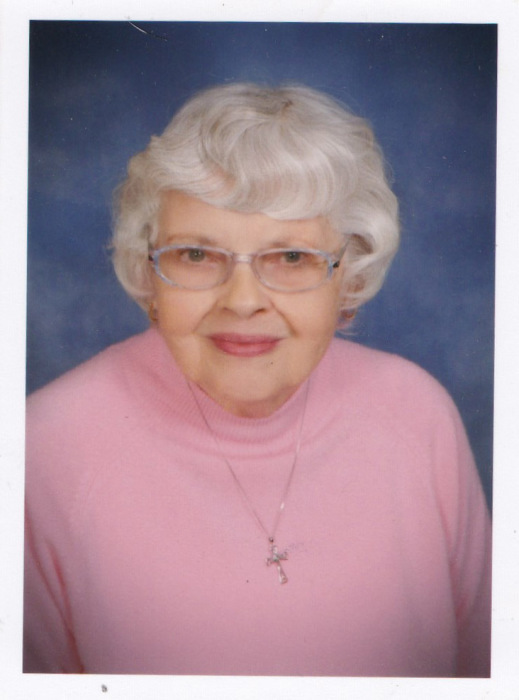 Danville – Betty M. Henry, 84, of Danville passed away at 12:25 PM on February 3, 2019 at Carle Foundation Hospital in Urbana, IL. Betty was born on September 6, 1934 the daughter of Dohn E and Mildred M. (Nash) Bradbury in Danville, IL. She married Jared Henry on May 9, 1954 and he preceded her in death on February 5, 1998. Survivors include her sons, Steven (Renae) Henry of Danville, ILand Eric (Dawn) Henry of Fulton, MO. One brother, Lynn (Pat) Bradbury of Martinsville, IN; two sisters, Mona (Don) Boucier of Camarillo CA, and Marian Smith of Danville Il. Betty has two grandchildren, Matthew (Alyssa) Henry; Bethany (Bri) Bowling and one great-grandchild, Trey Long as well five step-grandchildren, Kristin Black, Sarah (Trace) Johnson, Matthew, Emily, and Joseph Cleveland. Betty is preceded in death by her parents, husband, Jared and three daughter-in-laws, Shelly Henry, Carol Henry and Martha Henry. Betty loved serving Jesus teaching Sunday School, leading Worship in song, and sharing the many Bible verses she committed to her heart. She supported her husband’s plight with Muscular Dystrophy and assisted many lives through home health care. One of many joys was to be outdoors playing in her garden. A Celebration of Life will be held on Thursday, February 7, 2019 at 2:00 PM at Southside Church of Christ 611 South Forrest Street Danville, IL with Kevin Ziegler officiating. Visitation will be held from 1:00 PM until 2:00 at the church. Sunset Funeral Home and Cremation Center in Danville is assisting the family with arrangements. Burial will be in Sunset Memorial Park. Memorials in Betty’s memory may be given to the Muscular Dystrophy Association or the Southside Church of Christ.